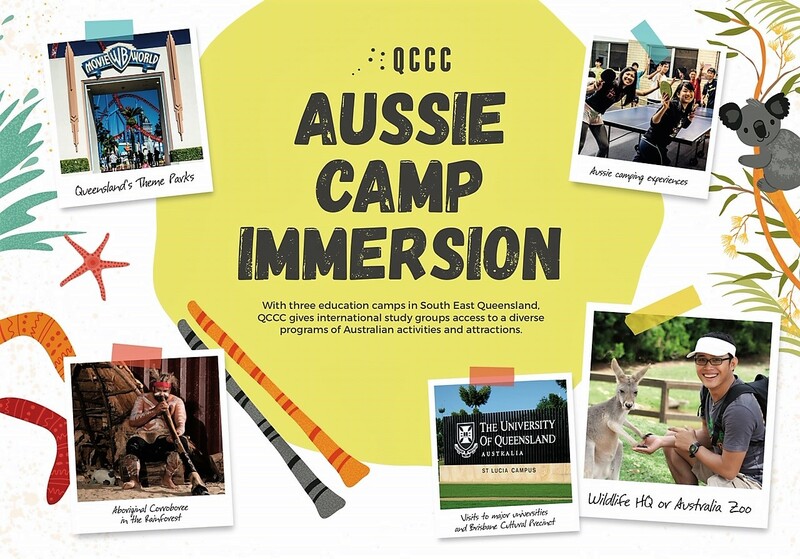 International schools on study tours and education camp programs to Australia are encouraged to check out QCCC’s venues and programs for an authentic Aussie Camp experience. 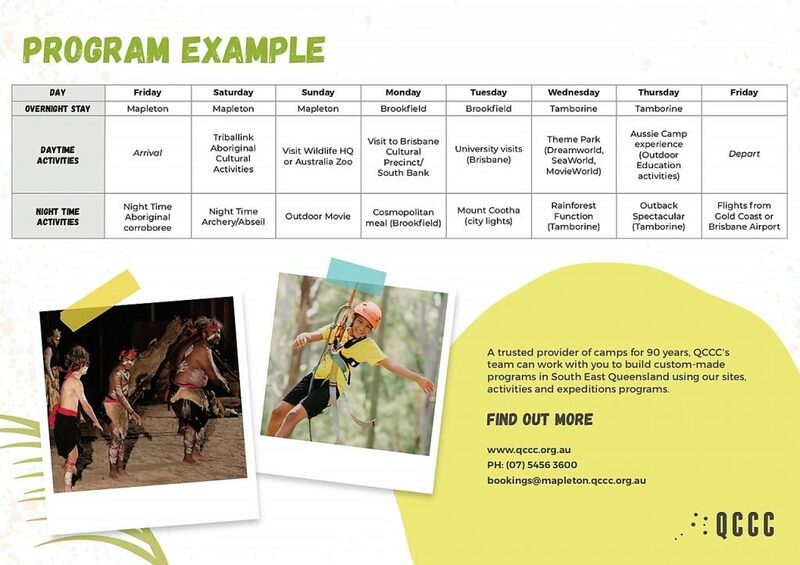 With three strategic locations in Queensland’s South East, and a wide variety of programs, and proximity to local attractions, QCCC is able to offer a varied and innovative camp program for inbound study groups. 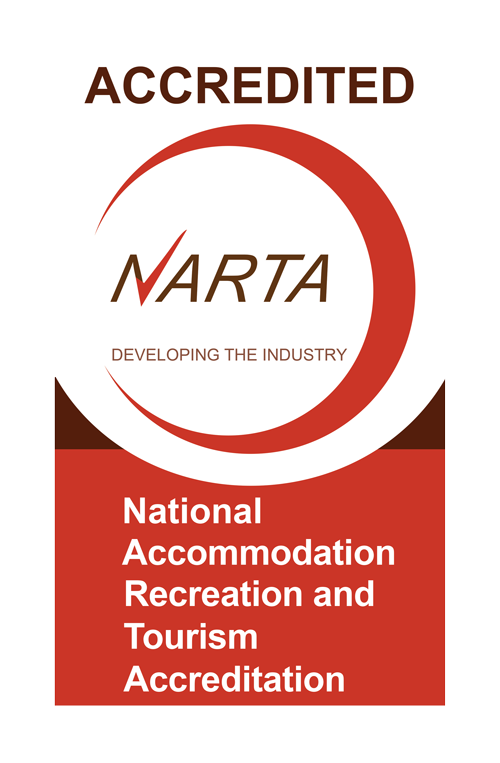 The Award-Winning Adventure Campus at Mapleton (300 beds on the Sunshine Coast Hinterland) has more than twenty-five activity options referencing the Australian National Curriculum as well as the Triballink Aboriginal Activities Centre for an authentic and experiential approach to the customs and lifestyle of Australia’s First Nation people. International study tours will also enjoy Mapleton’s Kidcaff Farm, a working farm with avocados, cropping and Aboriginal bush foods. Wildlife HQ and Australia Zoo are not far away for photos with cuddly koalas. Groups looking to access all Brisbane has to offer are well catered for at QCCC’s Urban Campus at Brookfield. Just 20 minutes from the CBD QCCC Brookfield is the closest designated school campsite (145 beds) to the city. From Brookfield groups can easily access the Brisbane Cultural precinct at South Bank and visit some of Australia’s leading universities nearby. QCCC Tamborine (Gold Coast Hinterland) is a Mountain Retreat Campus, 50 acres of Outdoor Education and Meetings facilities enjoying some of the best campsite views in Queensland. Capable of accommodating 600 people at a time, QCCC Tamborine is able to host the largest of school groups, or provide intimacy for smaller schools as the site is comprised of 4 smaller campsites with individual facilities. QCCC Tamborine is a short drive away from the iconic beaches of the Gold Coast and internationally-renown Theme Parks. QCCC also has capability to provide journey-based expeditions programs, particularly on the stunning Rainforest trails of the Sunshine Coast Hinterland Great Walk. From experiential Aboriginal camping experiences through to visits to some of Australia’s best tourist attractions and higher learning venues, QCCC is able to put together an attractive program for international schools visiting Australia.